Brothers John and Arthur Anderson started Anderson Brothers Construction Company in 1940 on the property along highway 210 East of Brainerd. The brothers had worked in construction since 1928 as equipment operators in the Rochester area. In 1940 the company focused on excavating and hauling material for road projects. Soon they began gravel work on roads and then started road-mixing asphalt. Road mixing consisted of mixing the aggregate and asphalt oil on the road and then blading and rolling the mixture into place. John died in 1957 and Arthur continued to operate the company. In 1960 Arthur bought his first hot mix asphalt plant and soon to follow was a paving machine, roller and two new road graders. In 1964 Arthur died. At the time his wife, Minnie, was working in the office running payroll and administration. Jim Anderson, Arthur’s son, was in his third year of college and returned home to assist his mother. Two key employees, an engineer and a supervisor/equipment mechanic were instrumental in helping Jim continue the company. That same year in 1964, Anderson Brothers began work on the areas largest excavating and hauling project now known as the East Brainerd Mall. In 1968 they built the Donnybrook Race Track now known as Brainerd International Raceway. An asphalt plant sat out front along state highway 371 where a gas station now sits. 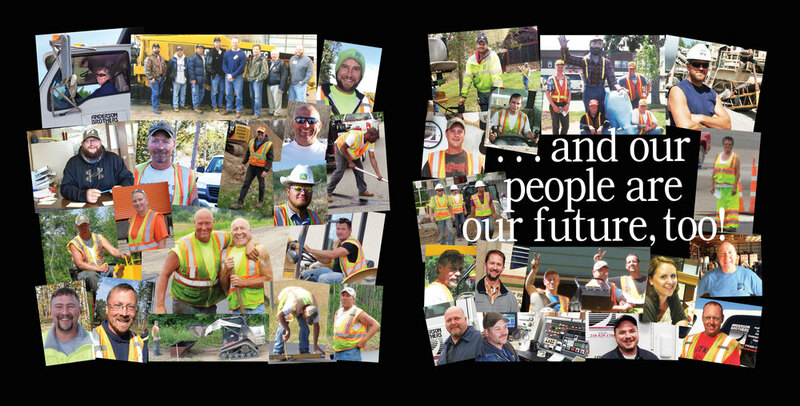 The company focused on highway construction throughout Minnesota and the Dakotas. Mobile asphalt plants and employees traveled and lived on the road during the construction season. In 1995 the company began to centralize and focus its efforts on the growing Brainerd Lakes Region. Today its primary market is a 75-mile radius from Brainerd. Services include earthwork, underground utility, aggregate mining and processing, asphalt paving and concrete.